Showers on the way to school, sunshine on the way home? 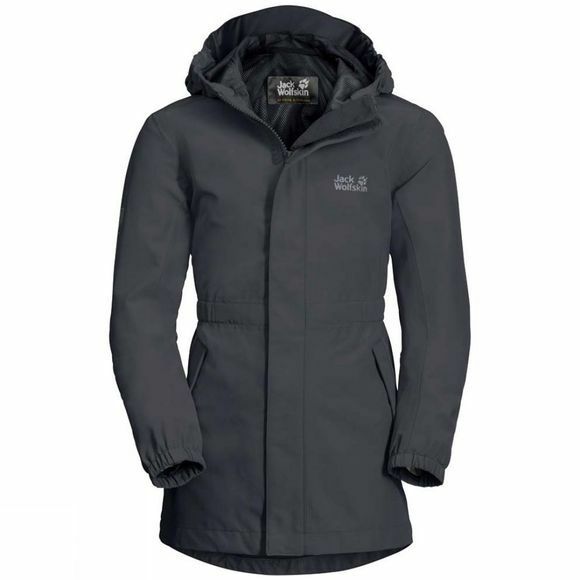 With the Girls Hidden Falls Jacket, your little girl is equipped to deal with any surprise the weather might have in store. 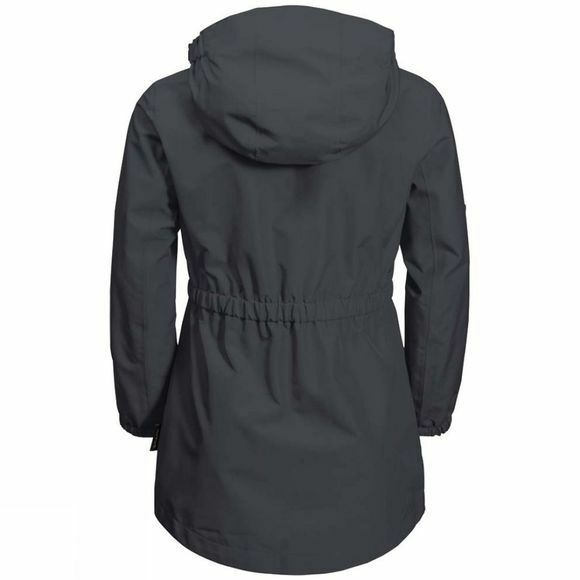 With its trim, feminine silhouette and gathered waist, this super lightweight parka-style jacket is sure to become one of her favourite things to wear. Mums and dads will be pleased to note that the jacket is made of Texapore Mini Ottoman 2L, a showerproof fabric that is also really hard wearing. In other words, the jacket is made to last. Once your child has grown out of her jacket it can be passed on to her little sister or a neighbour's daughter. In warmer weather the jacket can simply be worn over a T-shirt. The fabric is so breathable that your little lady won't get all hot and sweaty.